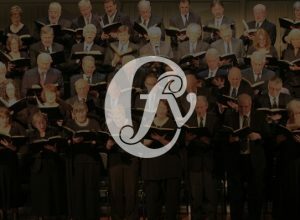 We are a non-auditioned, community-based chorus of about one hundred singers – ordinary people who come together to accomplish the extraordinary through the beauty and power of choral music. In addition to seasonal performances, we also seek to encourage the cultural development of choral arts in our communities, and to provide amateur singers an opportunity to develop their talents. It has been nearly 50 years since the Chorale’s formation to celebrate the Town of Simsbury’s Tercentennial, and since then we have produced and performed an incredible variety of music and have worked with many talented musicians and singers. Along with our accomplished artistic director Ellen Gilson Voth, we have seen both musicians and soloists featured every year – a practice that both enhances our singers’ talents as well as creates a beautiful musical experience for our supporters. We accept new members at the start of each season when rehearsals begin for the next concert. We hope you like the look and functionality of our new website! We gratefully acknowledge the generous Ignition Grant we received through the Greater Hartford Arts Council’s United Arts Campaign, with major support from the Hartford Foundation for Public Giving. This grant – and the design and development work by the great team from (a)squaredstudio – made this new site possible.